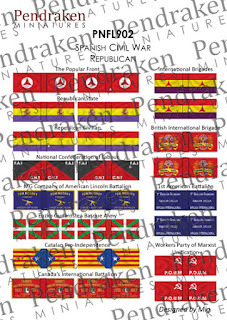 We had several responses to our request for new flag designers last month and as a result, here's the first set of new flagsheets! 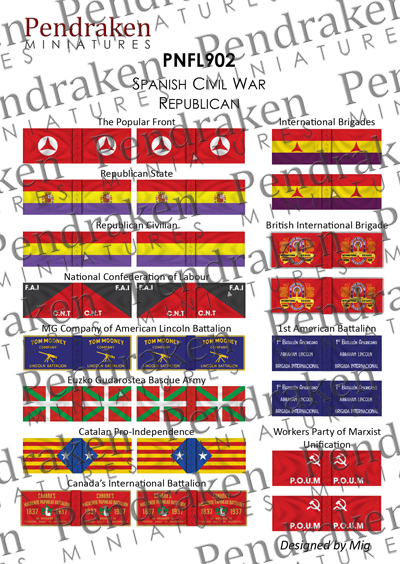 These two sets cover all the main factions serving on both sides of the Spanish Civil War, with 18 flags on the Nationalist sheet and 24 on the Republican. All of these were researched and designed by new Forum member Mig, so thanks to him.